Highly desirable SLO location is the perfect location for this 4 bedroom/3 bath home with a 3-car garage and extra on-site parking. Upon entering, you will be greeted by a light and bright floor plan of dining room, huge open kitchen w/expansive center island, and spacious family room, all with vaulted ceilings throughout and skylights. The french doors off the dining room lead out to a cute and cozy front courtyard. There is one bedroom and one full bath on the first floor, along with an indoor laundry that leads out to the oversized 3-car garage. Upstairs you will find two extra bedrooms and bath with a huge and spacious master ensuite w/full bath and extra large closet. The fenced and park-like backyard is serene and private and a great spot for BBQ's and gatherings. The whole house is just perfect for entertaining. 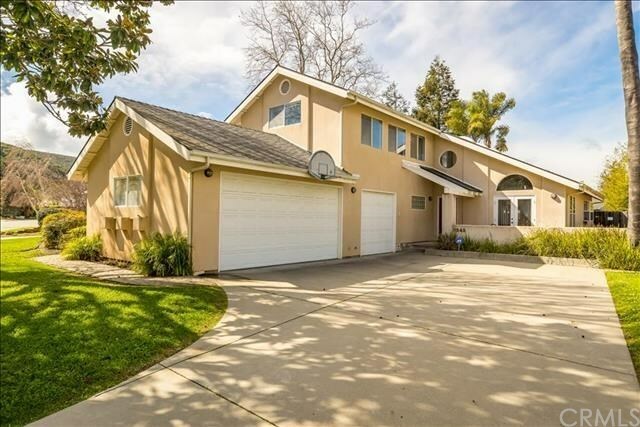 Close to shopping, schools, Laguna Lake Golf Course, parks, hiking trails, and freeway access .... this home is a must see!